New is exciting. But it can also be challenging, complex and time-consuming. Having added a new practice to their family, an Edinburgh-based dental group was looking for quite the opposite: simplicity and efficiency. Aware of our excellent reputation in digital solutions in the dental sector, they approached us to create new branding for their renamed practice, and to then develop a modern, easy to use website. We were, of course, delighted to take on the challenge. They also felt that the existing sites for their other four practices did not let them make content changes quickly and in a cost effective manner. So they wanted maximum control over maintaining this new site, while keeping development costs to a minimum. Focusing on flexibility would be key to delivering something affordable, effective and efficient. To bring that flexibility to the website, we developed templates and building blocks to give our client total control over all content and assets. These templates would then make content replication cost effective across all the other practices. We created a new brand identity and a templated, fully content-managed website that looked great, made information quick to find and was easy to maintain. 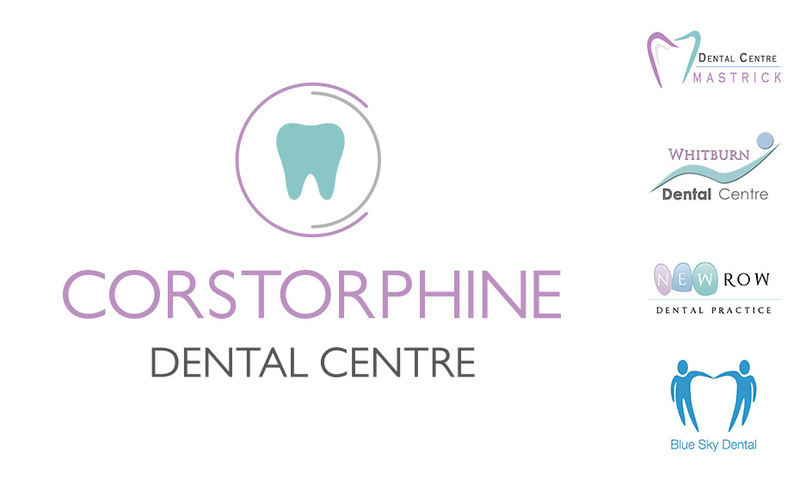 Corstorphine Dental Centre was part of a family of other practices, so we created a fresh look that complemented the other practice identities. We used Multiply’s customised Drupal CMS templates to deliver a fully responsive solution to enable content administration, with a simple intuitive interface. 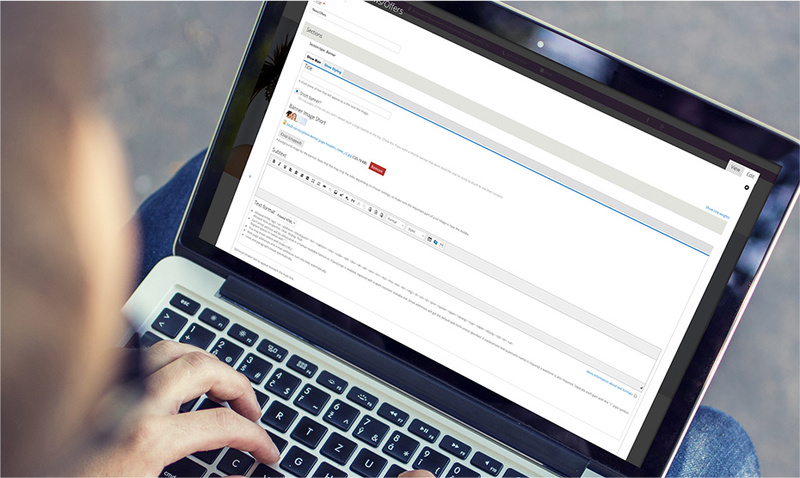 Approved users are now able to fully manage site navigation and content upload, including rich media and documents. 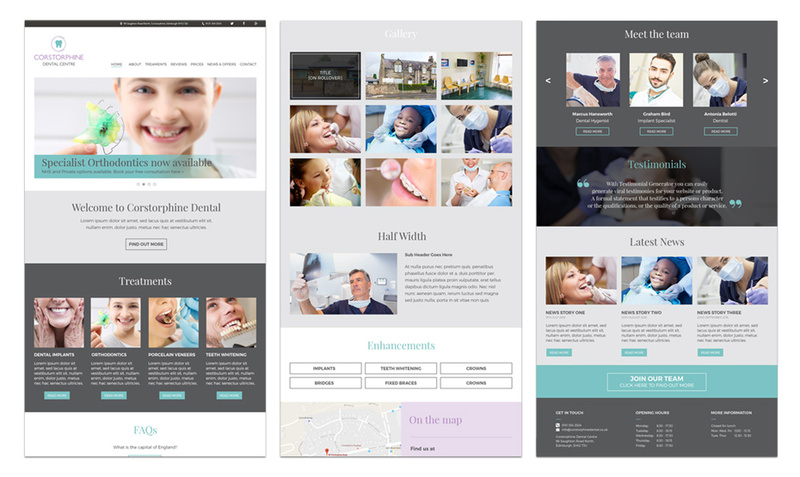 We created the site using Multiply’s modular templates tailored for the dental and healthcare market. We used flexible layouts, with an array of “blocks” that made it simple to organise, add and exclude elements as the page required. Working with our client, we customised the template colour scheme to reflect the new brand identity. 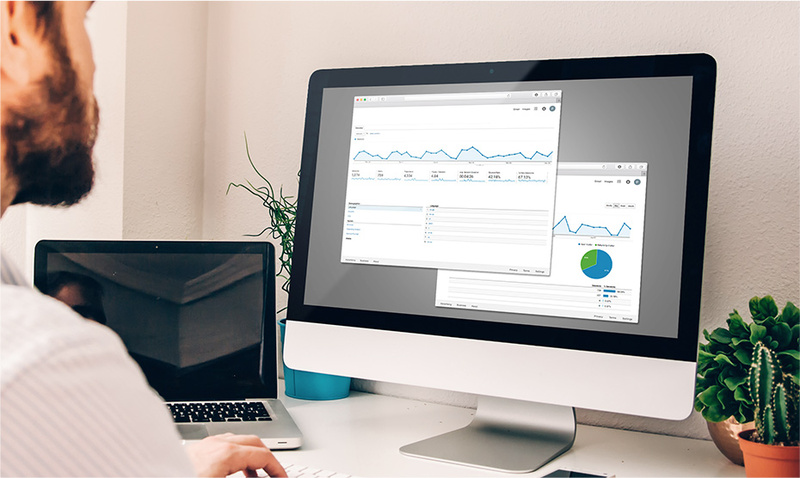 Before launching the website, we activated Google Analytics & Webmaster Console (via Google Tag Manager), basic on-page SEO (optimised titles & meta descriptions) and technical SEO best practices (sitemap.xml submission & 404 handling) along with 301 redirects to make sure no old links were lost. 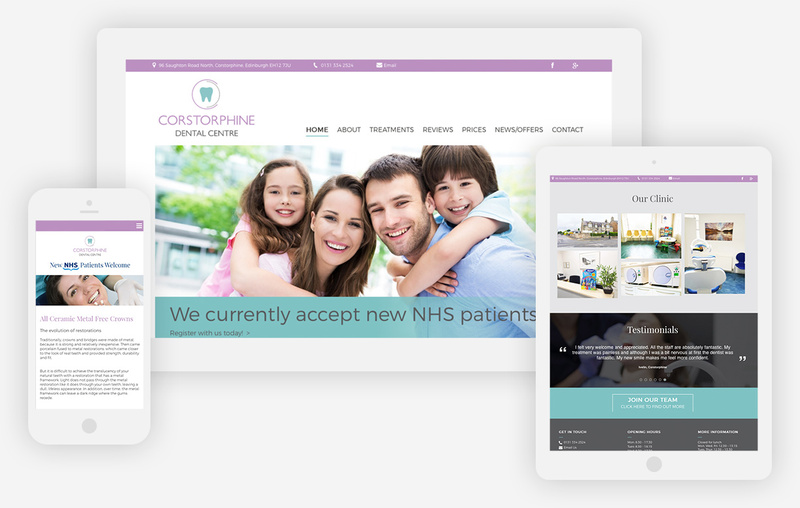 The Corstorphine Dental site proved very successful – something proven by the fact that Multiply were commissioned to replicate the approach across the other four dental practice sites. Working with Multiply was a delight. They listened to what I needed and were able to present and deliver a solution which not only exceeded my expectations but met my budget. I would highly recommend Multiply.